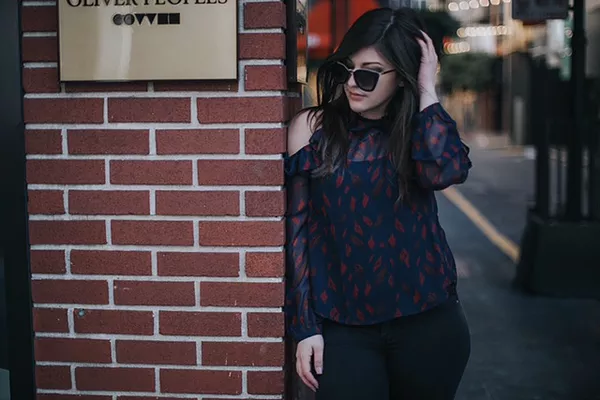 Everyone needs a good cold shoulder blouse. HauteShopCo has the cutest navy blouse with ruffles on the sleeves. 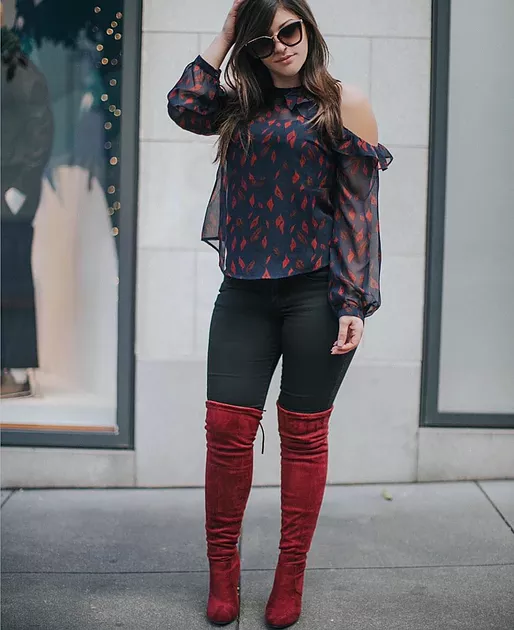 Since there are red leaves on the blouse, I thought some red suede over-the-knee boots would compliment the whole look. These boots are definitely show-stoppers. The look was completed with an inexpensive pair of sunnies from the BP department in Nordstrom and some black denim.